There’s quite a lot of noise being made about the “democratization” of private aviation these days. It’s a term that’s used rather liberally, of course, for any “democratization” that takes place in a luxury market will always remain relative – in terms of private jet travel, democracy comes at a price upwards of about $4,500 an hour. But let’s be clear, progress is indeed being made. Compared to having to fork out tens of millions to buy a jet outright – or perhaps millions of dollars for partial ownership – access to the 11,000 private aircraft in the US licensed for charter is becoming easier. And this is due not so much to a democratization of private aviation per se, but rather to the ongoing digitization of the marketplace. The idea is that booking a flight on a private, on-demand business jet – even on short notice – should be achievable via an app. We’re talking about an “Uber for the airways” scenario, and, in essence, that’s pretty much what the third-largest North American private aviation company XOJET is trying to achieve through its recent partnership with JetSmarter – the world’s largest mobile marketplace for private jets. However, the process of chartering a private jet of course is not as simple as using your smartphone to hail an Uber from four blocks away. No, the logistics of air travel are much more complicated and far more sensitive than that. There are maintenance and safety issues, weather issues, crew availability, coordinating the timely arrival of all fellow travelers, weight restrictions which impact the amount of luggage that a traveler can carry, and so on. All of this – and more – make the idea of a simple, on-demand, hail-and-ride “Uber for the airways” app not a completely accurate analogy of what’s currently available anywhere in the sphere today. Fueling the initiative is the XOJET-branded mobile app. The app itself is powered by JetSmarter, and enables XOJET clients to book real-time charter on XOJET’s fleet of Cessna Citation X and Bombardier Challenger 300 jets. It also allows customers of XOJET to book shared charter flights, shuttle flights by the seat, and take advantage of any last-minute deals available via the JetSmarter app. Members of JetSmarter, in return, receive real-time availability and access to prices on par with those available to XOJET’s Preferred Access and Elite Access program clients. XOJET considered developing its very own app, though eventually rejected the idea in favor of the JetSmarter partnership. This was largely because any app that XOJET built from scratch would essentially serve the same function as what JetSmarter was offering, and so the investment in time and resources couldn’t be justified, according to Stewart. And so, the partnership as it’s been formed enables XOJET to deliver the most complete suite of on-demand private jet options in the industry – from last-minute deals to shuttle and custom charter services. 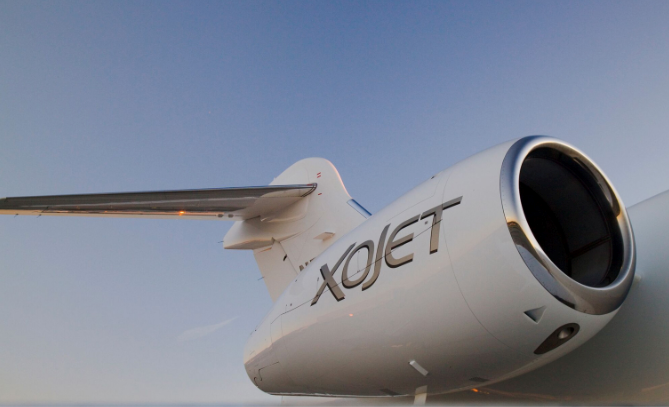 And this all comes together under the premium, personalized service that XOJET has become renowned for. Stewart has previously described the traditional market for private jet travel as “the top 10 percent of the top one percent” – roughly equating to folks with a net worth of $30 million and annual incomes in the multiple millions of dollars. Expanding the market to cater for the entire top one percent would mean enlarging the potential customer pool to encompass more than one million households – and that’s what the JetSmarter partnership hopes to open up. More sophisticated digital distribution will help XOJET put more people in the air, fill those flights, and keep membership fees at a level which more consumers in the top one percent can access. XOJET generated more than $300 million worth of revenues in 2015, but Stewart believes that the alliance with JetSmarter will enable XOJET to double the size of its business in each of the next two years. It is indeed the digitization of private aviation that is paving the way to the industry’s (relative) democratization. The last word goes to Brad Stewart.